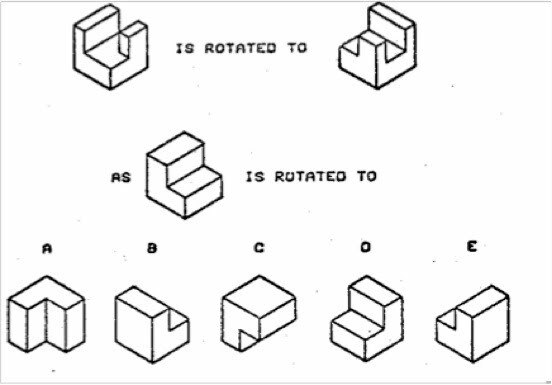 Spatial visualization is an important skill for numerous engineering classes. It is important that you know your skill level so that you can determine if additional preparation in this area is warranted. The Jacob School of engineering will be offering spatial visualization workshops in the spring 2013, and you can use the results from this spatial visualization skill to determine if it would be helpful for you to enroll. Each student is required to take the on-line spatial visualization quiz. The score on the exam does not effect the MAE3 course grade, but the completion of the exam and attempting all question is graded as a homework assignment. Go to the link:https://engineering.purdue.edu/ENE/WebformsFor/AvailableFor/ucsd_12fal. The exam is run by Purdue University. Complete the 25 minute exam in a single sitting. It is recommended to find a quiet spot and turn off your phone.